One of my greatest loves is writing, so it may come as no surprise that I take lots of pleasure in correspondence. I am always fascinated by the time, effort and creativity that goes into a writing a letter. Even though we may be miles apart in distance, keeping in touch and sharing snippets of our life’s is what makes it worthwhile. I love being able to pour my thoughts (and often heart) out into letters to my wonderful pen friends. It’s often the shared interests, and similar lifestyles, that have brought us together, but the thing I love most about writing is getting to know somebody. With each letter comes a new fact, a new story, and that is something that we wouldn’t otherwise get to know. I am hopelessly devoted to collecting mountains of stationery, meaning I have a variety of paper and envelopes to hand. 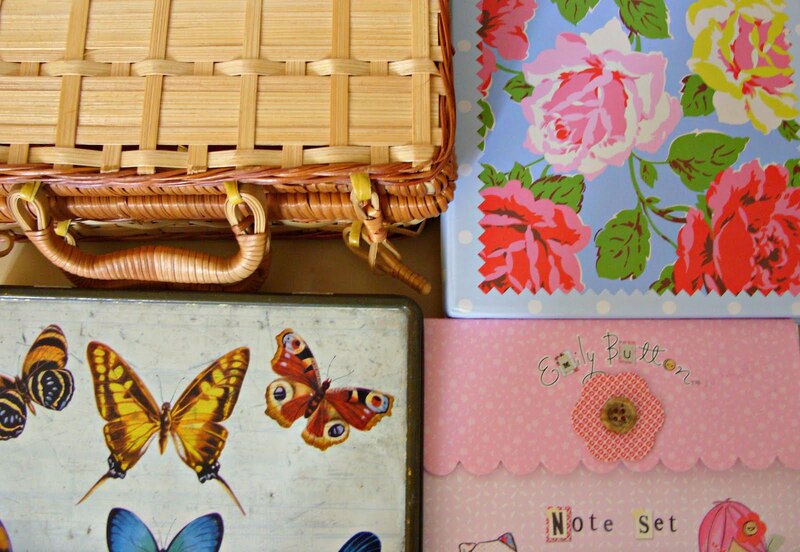 Stationery was always my big thing, growing up I never threw a tantrum in Clarks for pretty shoes. It was more typical of me to demand a new notepad in Woolies. In the M&S sale just after Christmas I picked up the cutest Emily Button note set which of course has proven popular in my stationery stash. It may be meant for little girls a lot younger than me, but I sure couldn’t resist its adorable nature. I’m also ever faithful to Cath, this writing box was something I picked up in Brighton last summer, and never fails to make for beautiful correspondence. 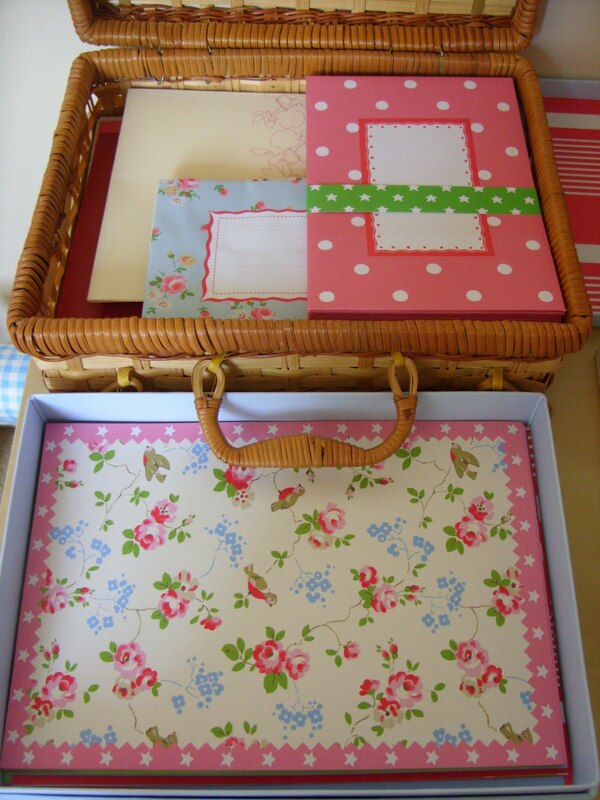 I store all of my envelopes in a five-pence picnic basket, which I got from a car boot sale last year. I keep all forms of received correspondence as a wonderful keepsake, stashed away in my twenty-pence butterfly tin, in hope that one day I will be able to open it up and be able to capture this moment in time all over again. Sharing your thoughts in letter form is such a heart-warming thing to do, being able to actually sit down and get all your lost translations down on paper and know that at the other end somebody will take a moment from their day to read what you have to say, is what is so rewarding. Waiting for that next letter to drop through the letter box is always exciting, and when it does arrive it will almost always be unexpected. It manages to bring back that sense of anticipation that email took away and makes the wait for the next instalment always worthwhile. In turn being able to send a gesture of words to somebody who may need cheering up, reassuring or just a few lines of girly chit-chat is equally as uplifting. I really do treasure the art of letter writing. I love your new layout Alice! The header is quite divine! When it loaded up I was like.. 'Ooooh!' haha! I often see really pretty notepads and letters sets when I go into Wilko or WHSmith and I am always tempted to buy them but never do as I have nobody to write to! I do like to get myself a new notebook every once in a while as I like to keep a dream diary but that's about it! The 5 pence picnic basket is awesome and such a lovely idea to keep all your writing sets inside it like a little treasure trove and don't get me started on your beautiful butterfly tin! 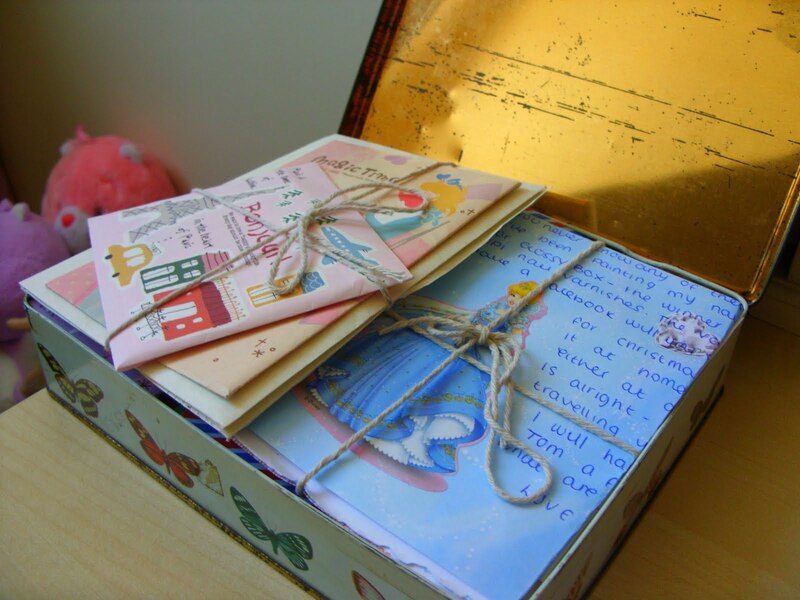 I love your love for letter writing! O i'm loving the new header and blog design! I love letter writing too but it seems to be a dying art sadly. I try and write letters when I can but people always seem to reply with emails. Such a shame! I love your new layout m'dear! I'm also a fan of sending and recieving letters, I hate how it's become a dying art. An Alien World is looking pretty darn beautiful, Alice! This makes me sad, i miss writing to you so i'd love to start all over again? I'm at home at the moment, so can't check, but think i have your address in my address book so will write as soon as i'm home on Monday! I'm a letter writer too, have never been able to shake the habit from quite a young age and I think pretty stationery is one of life's joys! Long live snail mail!! I was a big sticker fan as a kid, even collected football stickers. 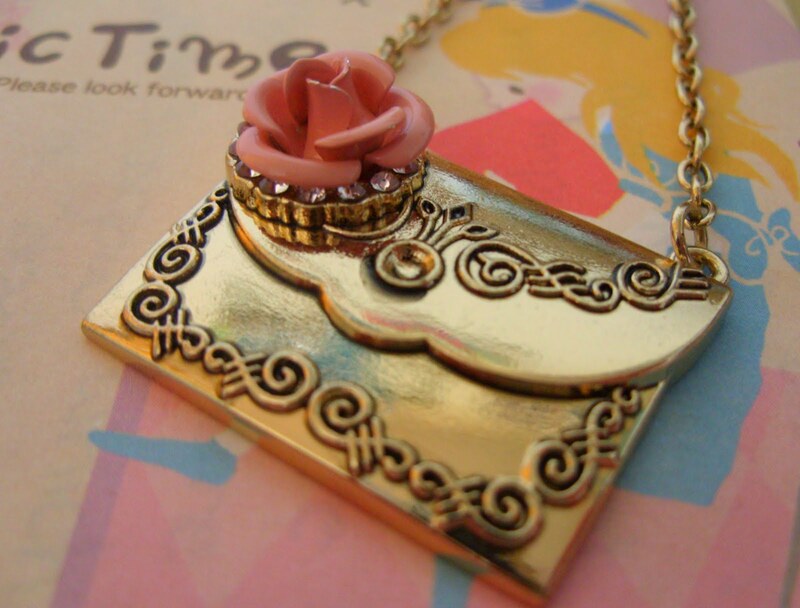 I still love them now, always seal a letter with a cute sticker. Your new butterfly header is lovely! You're right, the art of writing is declining because of emails and facebook, which is such a shame. I miss receiving Christmas and Birthday cards through the post and try to sent postcards to my nieces and nephews every now and again. I like your idea of a stationery box, it's something I should do myself. This was a lovely read, and well done on the bargain front too! Nice new blog design too, Alice. Hope you're enjoying pinning away! That was such a lovely read and very jel of all your stationary! I have made a few pen friends through blogging and love recieving letters! Such a cute post. I should write more letters, everyone should. There is nothing like letter writing. Keep the art alive! When I was younger I didn't like chocolate and I'd get letter writing sets instead of eggs at Easter! 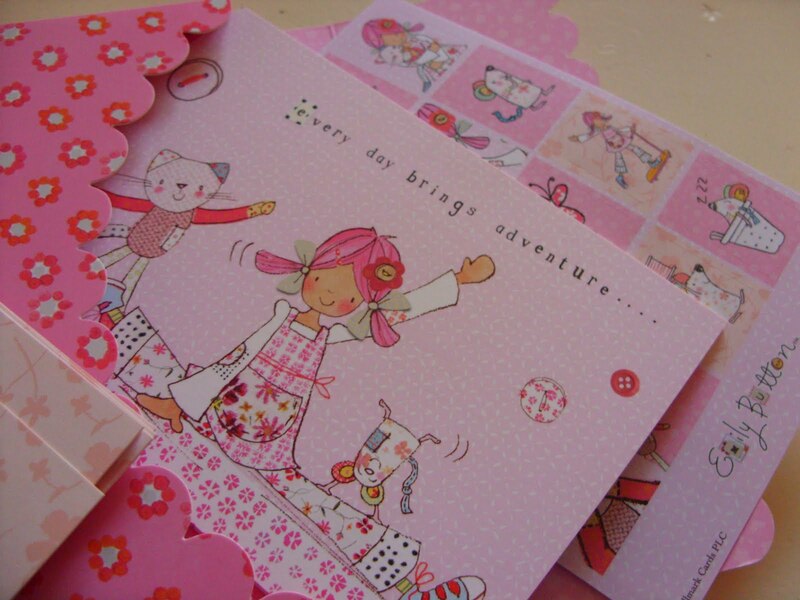 You have such gorgeous stationery! I definitely need to use mine more - I have drawers of the stuff and I am terribly bad at actually writing on it! I have to say here It is really nice work..I like it...Keep it up! 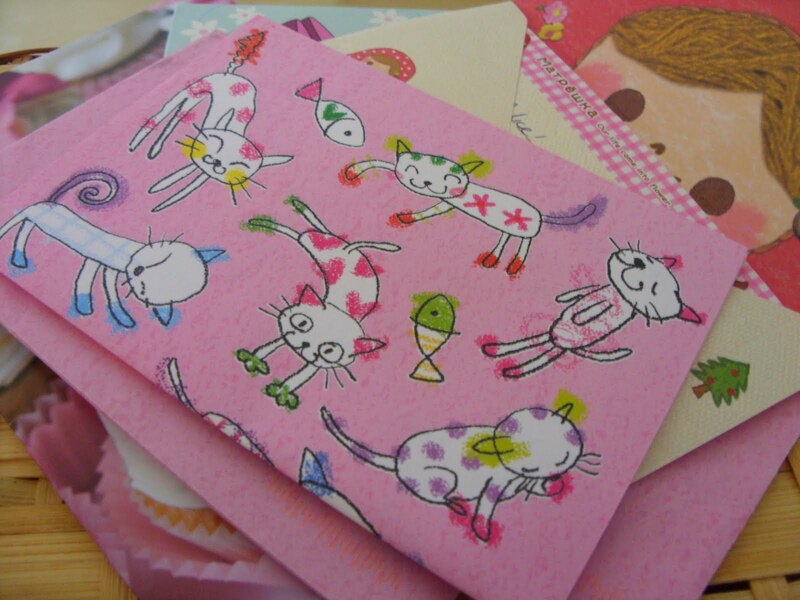 Your collection of stationery are so adorable! it reminds me when i used to have penpals from all over the world and always wanted to find the cutest, prettiest stationery to write. I love the CK and the emily button ones are just adorable! love all of them actually! and i adore the envelop pendant there too! I love the butterflies both on the header and the tin - what a find! I too used to have pen pals. Maybe the adult version is my blogger mates now. Nothing beats the written word and lovely post, especially on Cath stationery!